Lack of foot care in elderly people can lead to complications such as calluses, corns, dry skin, friction blisters, ingrown toenails, infections, warts and foot deformities. 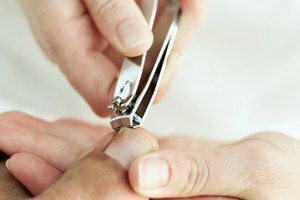 Elderly people may need assistance with trimming the toenails because they may have bad eyesight or cannot reach the toes. 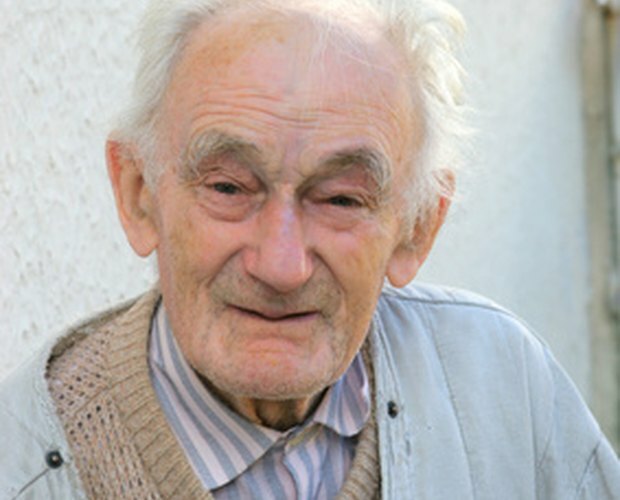 A podiatrist or family member can provide the elderly person with basic foot care. Examine the feet and look for any potential problems that may need professional attention. Signs of potential problems can include redness, swelling, blisters, bruises, sores, cuts and ingrown or infected toenails. Fill a tub with warm water and wash the feet with a mild soap allowing the elderly person to soak the feet for no more than 10 minutes. Soaking feet will soften the toenails making them easier to trim. Prevent soaking the feet longer than 10 minutes because this can cause the skin to dry and crack. Pad feet dry with a towel. Don't forget to dry the area between toes. Massage body lotion onto the feet to keep them soft and to prevent them from getting dry. Avoid putting lotion between toes to prevent fungus and bacteria from growing. Keep the area between toes dry. Clip the toenails straight across, not too close to the nail bed. If you cut the nails in a curve, they are more prone to get embedded in the adjacent tissue which may result in infections and ingrown toenails. Smooth out rough edges and sharp corners with an emery board. You don't want the nails to hook into fabrics or cause injuries. Encourage the elderly person to always wear properly fitted footwear when walking to prevent injuries or slipping. They should avoid going barefoot.